Completely transformational… I’d like nothing more than for others to have a similar experience. Truly, Alex Dawson’s retreat was an amazing experience – one that I would like to hold onto throughout my life as I’ve never felt so relaxed and peaceful. 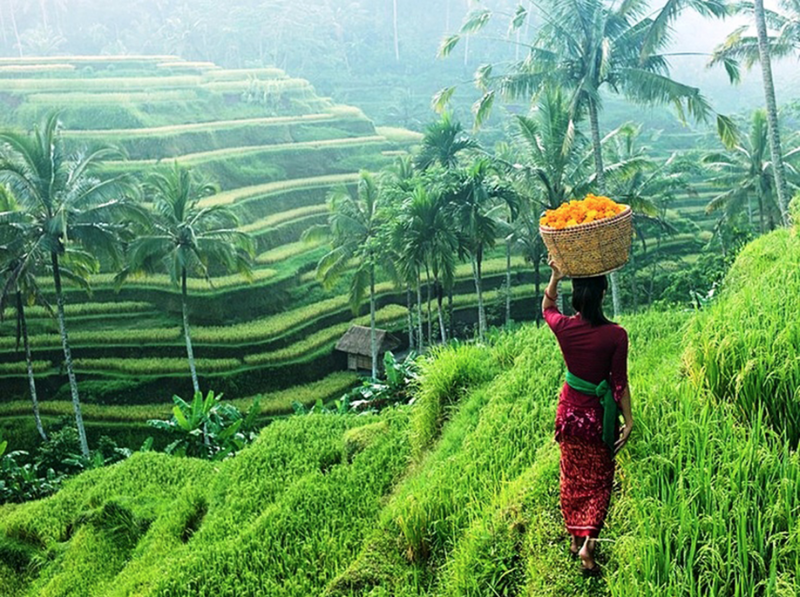 This spring, join us over Memorial Day Week at this magical, trip of a lifetime, Bali Yoga Retreat. 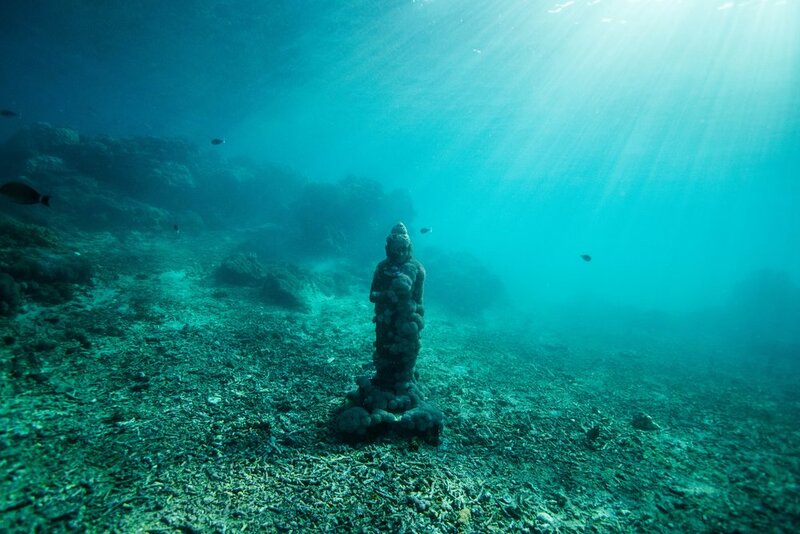 Enjoy the beauty, magic and mysteries of Bali with Alex. Transform and nourish your mind and body from the inside-out with daily classes and workshops in vinyasa, yin and yoga nidra; as well as meditation, breathwork, sound-healings and inspiring talks. I had a wonderful time at Alex Dawson’s retreat. The classes were transformative, the food was delicious, and the setting, gorgeous. Best of all she attracts a kind, cool crowd of yogis and there was terrific conversation between periods of practice and silence in nature. at a luxury resort surrounded by lush jungle and incredible views. Transform and nourish your mind & body with daily classes and workshops in vinyasa and yin; as well as meditation breathwork, sound baths and inspiring talks. 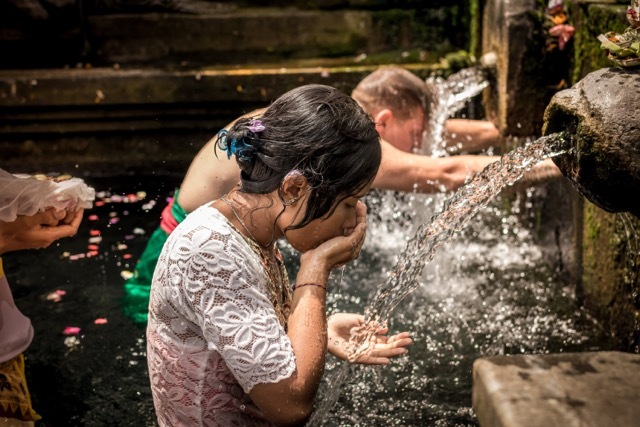 with visits to healing water temples. 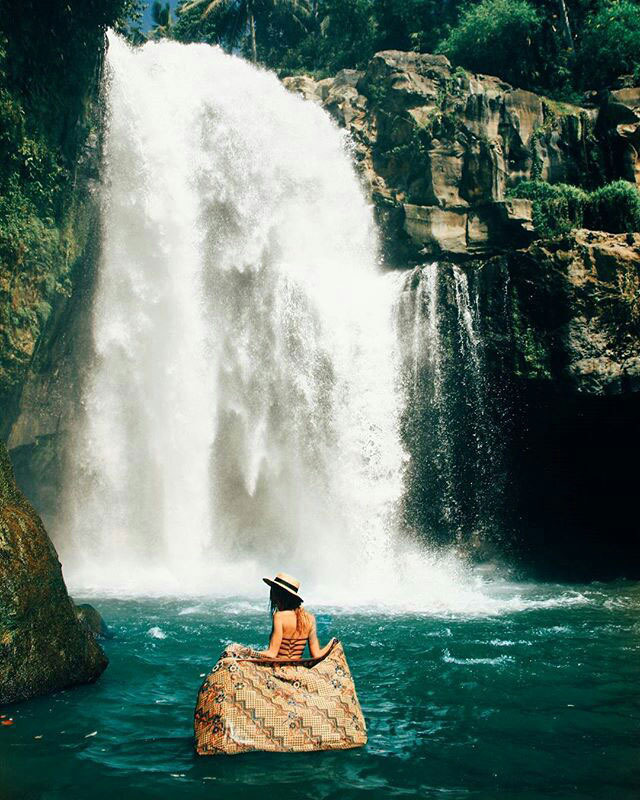 Quench your thirst for rejuvenation inside a Balinese waterfall. 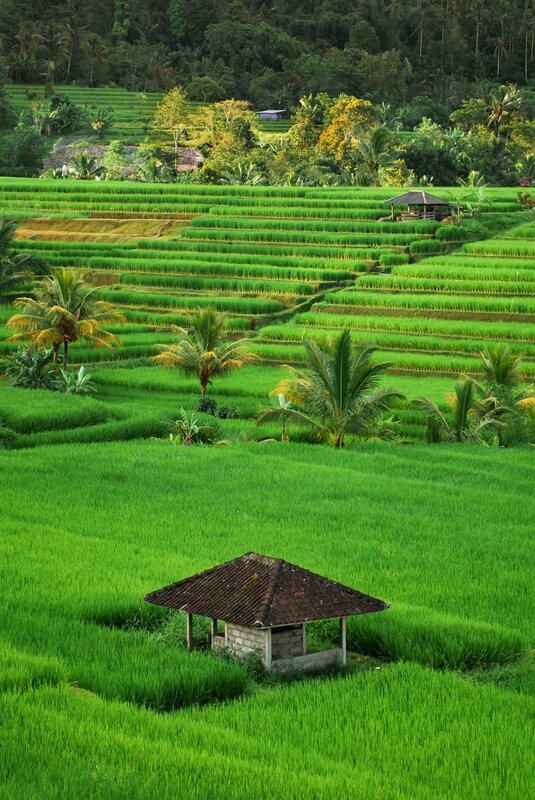 Down-regulate all levels of stress as we immerse in mindful meditation through the green of bali. Come ride the Bali swing with us. And a time to connect. 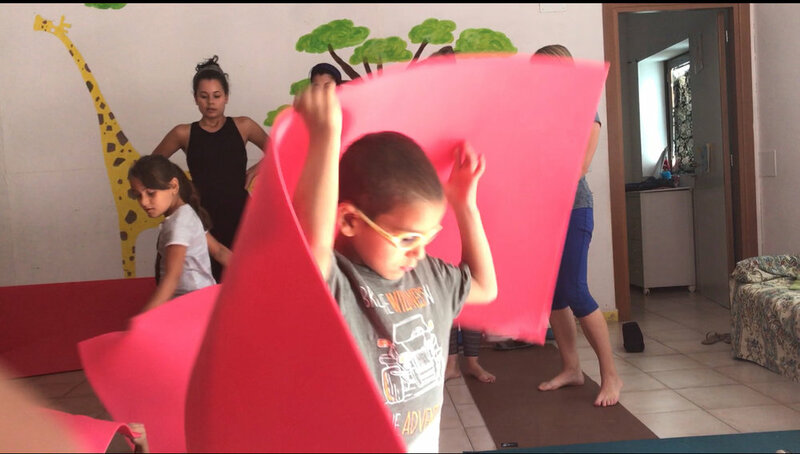 On our Bali Bliss yoga retreat, we will visit a local orphanage and teach yoga to the children there. Special thanks to Nicole Milazzo for facilitating this and being a leader in creating meaningful outreach in everything she touches. travel insurance (strongly recommended) we strongly suggest investing in trip insurance via InsureMyTrip - and selecting “cancel for any reason” coverage. World Nomads has also come highly recommended as a provider. Cash, check, Venmo, and Zelle are all fee free options for payment. Paypal is also accepted. There is a 3% fee on final balances paid through paypal. If departing from US, book your flight to depart on May 24th or prior. Transfer takes about 2 hours to our resort. Airport transfer can be arranged for $60 each way (for up to 2 people). $800 non-refundable deposit is required for registration. International Wire Transfers are an option. There is a $15 transaction fee. Click here to request details. Paypal is an option for payment. There is a 3% fee to use paypal. Final balance due March 15, 2019. Those paying in full who cancel by March 15th will receive a refund minus their deposit payment. After March 15th, all reservations are non-refundable, however they are transferrable should you find someone to take your spot. This policy is solidly in place so we strongly suggest travel insurance. and we will help you with everything from how to send a check and pay through Zelle, to help me find a roomie.